She is a true leviathan of the oceans. 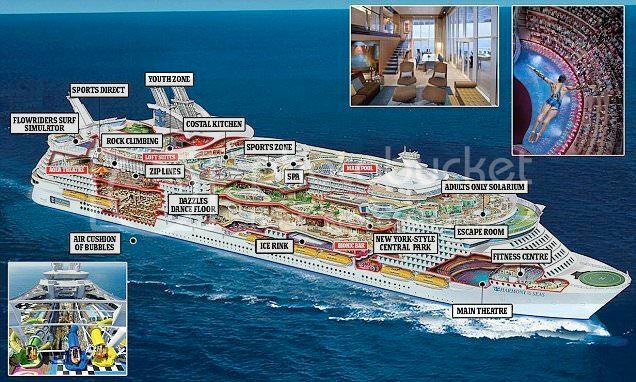 Weighing in at 227,000 tons – and 124ft longer than the Eiffel Tower is tall – the new Harmony Of The Seas is the largest cruise ship ever to set sail. The awesome vessel – which set out on its maiden trial voyage last week – is so vast it even houses a scaled down version of New York’s Central Park within its 18 decks – complete with 10,587 plants and 52 trees up to 20ft tall. 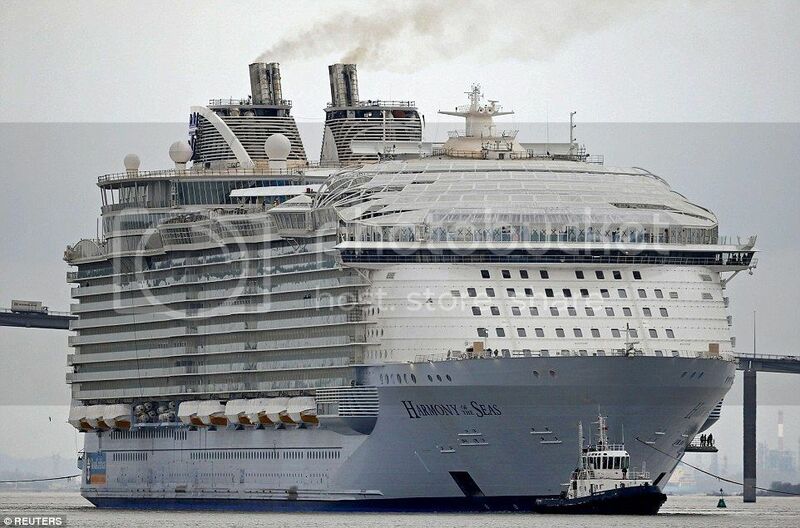 An astonishing feat of engineering, built at a cost more than £800 million, Harmony Of The Seas pulled slowly out of Saint-Nazaire in France, where she was built, with no fewer than three pilots on board – specially trained on computer simulators – to guide her through the difficult manoeuvres needed to exit the estuary. The newest and largest cruise ship, Harmony of the Seas, arrived in Southampton today.